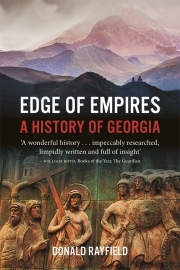 Georgia is the most Western-looking state in today’s Near or Middle East and, despite having one of the longest, most turbulent histories in the Christian or Near Eastern world, no proper history of the country has been written for decades. 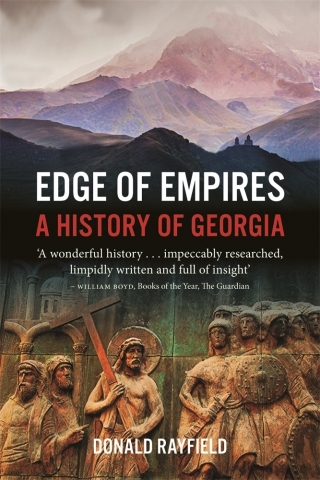 Eminent historian Donald Rayfield redresses this balance in Edge of Empires, focusing not merely on the post-Soviet era, like many other books on Georgia, but on the whole of its history, accessing a mass of new material from the country’s recently opened archives. Rayfield describes Georgia’s swings between disintegration and unity, making full use of primary sources, many not available before in an English-language book. He examines the history of a country which, though small, stands at a crossroads between Russia and the Muslim world, between Eastern Europe and Central Asia, and is a dramatic example of state-building and, also, of tragic political mistakes. Donald Rayfield is Emeritus Professor of Russian and Georgian in the Department of Russian, Queen Mary, University of London. He has published the standard history of Georgia’s literature, and is editor-in-chief of the immense Comprehensive Georgian-English Dictionary. His Stalin and His Hangmen has been translated into nine languages.